The Kintetsu Kyoto Line, runs between Kyoto Station and Yamato-Saidaiji. At Yamato-Saidaiji it connects with the Kintetsu Nara Line which continues on for two stops to Kintetsu Nara Station. There are 26 stations on the Kintetsu Kyoto line proper. Just one stop from Kyoto Station and a ten minute walk will bring you to Toji Temple. This Buddhist temple is famous for its five story pagoda, which is the tallest wooden tower in Japan, and also for a lively flea market held on the 21st of each month. A little off the beaten track, but this station gives access to the sake breweries and canals of the southern Fushimi area. The tombs of two emperors and a replica of Fushimi Momoyama Castle are also in the vicinity. Note that the nearby Fushimi-Momoyama Station on the Keihan Main Line and Momoyama Station on the JR Nara Line also give access to this area. The city of Nara is famous for its many shrines and temples, many of which date back to the 8th century when Nara was Japan’s first permanent capital. Eight locations are UNESCO World Heritage Sites. 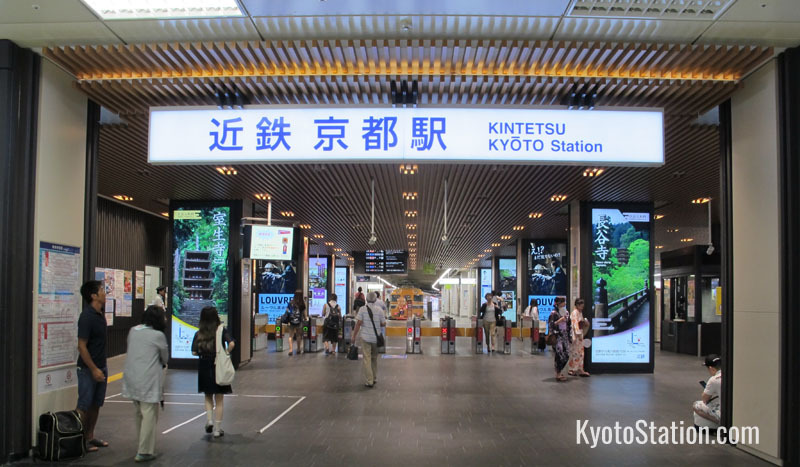 This is the most popular destination for tourists using the Kintetsu Kyoto Line. There are two rail lines that run between Kyoto and Nara: the JR Nara Line and the Kintetsu Kyoto Line. Of the two, the Kintetsu Kyoto Line is the most popular. As Kintetsu Railways are a private company, they are not covered by the Japan Rail Pass. If you are carrying a Japan Rail Pass, you may want to use the Miyakoji Rapid service on the JR Nara Line. This will get you to Nara in 45 minutes for a fare of 710 yen. See the JR Nara Line article for more information on this service. Many trains running on the Kintetsu Kyoto Line continue all the way to Nara, but some do not. You may have to change at Yamato-Saidaiji Station and then continue on for two stops to Kintetsu Nara Station. To find out if you need to transfer or not, use English language online route finders like Jorudan and Hyperdia. These are easy to use and the best way to plan your journey. There is also a helpful free bilingual PDF which you can download from the official Kintetsu Railways website. 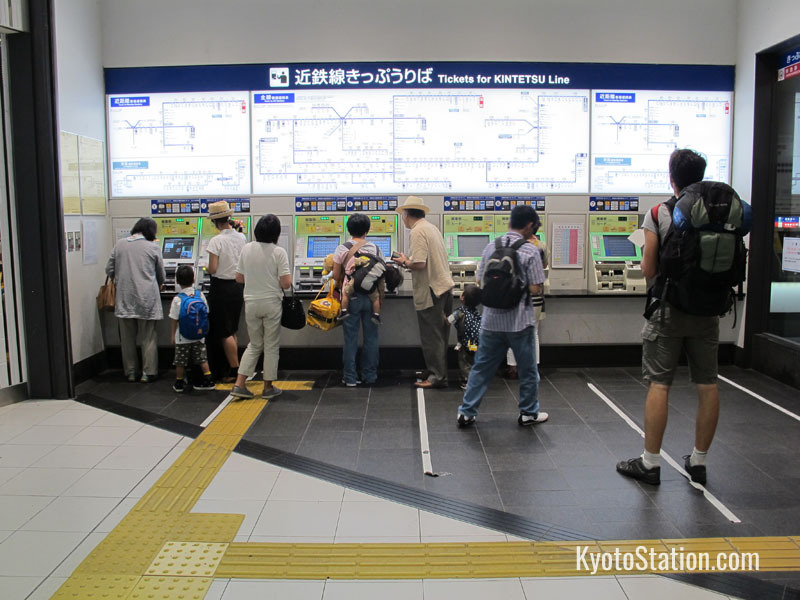 This includes timetables for all services from Kintetsu Kyoto Station and an abbreviated station stop guide. Rail services on these timetables are named by their destination rather than the official name of the rail line. You can find the entrance to Kintetsu Kyoto Station on the south side of the Kyoto Station building on the 2nd floor. There are four platforms in the Kintetsu Kyoto Station. Limited Express trains depart from platforms 1 and 2. Local trains and Express trains depart from all platforms. 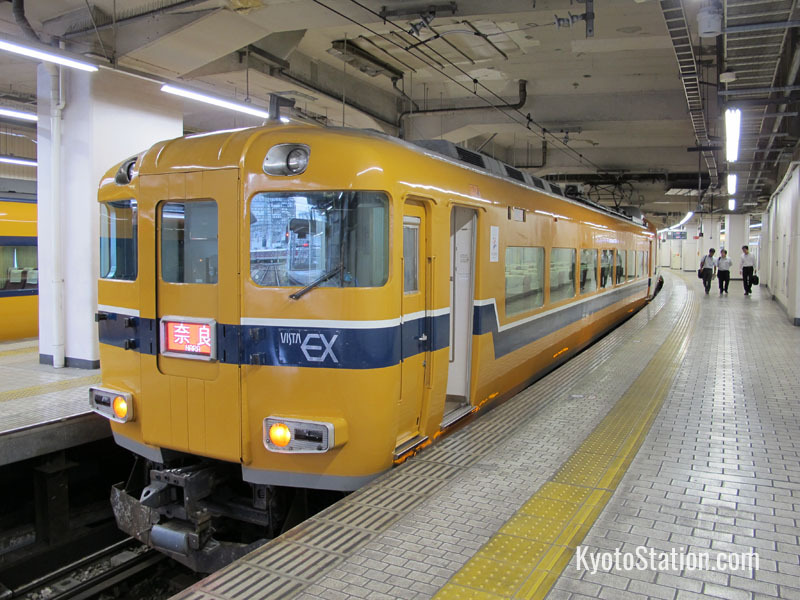 If you have not bought a Limited Express ticket, be careful not to board a Limited Express train by mistake as the conductor will charge you the extra 510 yen surcharge fee when he checks your ticket.